Posrche is known for producing blistering-fast sports cars. Unsurprisingly, very few sports sedans can match the performance of the 2015 Porsche Panamera. Not only does the high-powered sedan deliver the thrills on the road, but it is also available with an array of luxurious features. The sedan’s curvaceous styling and stunning road presence puts it in an elite group of cars. This is the type of vehicle that tends to draw a crowd of admirers. Porsche has only made a few changes to the new Panamera. LED headlights now come standard on the Turbo S model. The base trim also comes standard with an upgraded audio system. Even the base model carries a price tag of $80,000. However, the top-of-the-line version can cost more than $200,000. If you can afford to buy a new Panamera, you will be in an exclusive class of car owners. This sedan definitely symbolizes prosperity. The Porsche Panamera’s hatchback design makes it one of the most unique vehicles on the market. In fact, it was the first four-door sedan that Porsche ever produced. The Panamera is the perfect option for the sports car lovers who need to haul around their family. Featuring an extremely roomy backseat, the Panamera is an outstanding long-distance cruiser. Everyone will be able to relax with an outstanding amount of legroom. While the standard suspension provides a high degree of comfort, the optional adaptive suspension system promises to deliver an even smoother ride. All versions of the 2015 Panamera are equipped with a potent engine. With a total output of 310 horsepower, the base engine is the most efficient option. Drivers who desire more performance can step up to the supercharged V6 engine. Fitted with a turbocharged V-8 engine, the Turbo S model can race to 60 mph in less than four seconds. Porsche also offers a hybrid version of the 2015 Panamera. However, this is definitely not an average hybrid vehicle. The speedy sedan is able to push out an awe-inspiring 416 horsepower. In regards to fuel economy, drivers can expect to average about 27 mpg. In the past, manual transmissions delivered a faster performance on the road. Luckily, automatic transmissions have improved dramatically over the years. The Panamera’s PDK transmission is able to deliver amazingly fast gear changes. In fact, the automated transmission is designed to behave like a manual gearbox in high-performance driving situations. The new Panamera offers an elite level of luxury. Even the lowest-priced model comes standard with auto-leveling headlights, navigation, and a refrigerated storage compartment. Some of the high-end options include a rear-seat entertainment system and a four-zone climate control system. Some people take pride in owning one of the most exciting cars in their neighborhood. 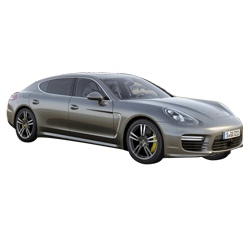 The 2015 Porsche Panamera will surely give drivers a distinct advantage over their rivals. Whether the owner is attending their class reunion or cruising to a local car show, the Panamera will help to showcase their success in life. Some drivers will be perfectly happy with the standard rear-wheel-drive system. On the other hand, some people will need the AWD system’s enhanced traction. The AWD system is especially beneficial to the owners who don’t mind driving their Panamera in the snow and ice. While the base model is impressive, the sedan can also be upgraded with numerous race-inspired components. Features such as the torque-vectoring rear differential take the car’s performance to a higher level. 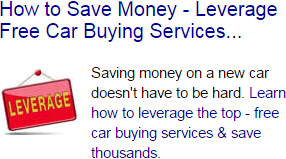 The average person simply can’t afford to buy a new Porsche Panamera. Only a small percentage of new car shoppers are willing to shell out more than $100,000. While the base model is more attainable, it is still quite expensive. There is no overlooking the fact that the Panamera is a very unique vehicle. Expect the cost of insurance to be very high. After the warranty period expires, the owner will have to foot the bill for the maintenance. The Panamera is engineered with a number of innovative components, which means that the replacement parts will be costly. Some of the Panamera’s closest rivals include the BMW 6 Series and the Audi S8. While there are less expensive alternatives, they do not even come close to matching the Panamera’s performance. While the 2015 Porsche Panamera is an expensive ride, it is well worth the money. The sedan’s luxuriousness is second to none. In terms of sheer power, the Turbo S model is hard to beat. If kept in showroom condition, it promises to become a classic automobile in the future.